In case you missed the announcements in Pittsburgh earlier, the Grow with Google initiative represents Google’s commitment to help drive the economic potential of technology through education. In addition to the Nanodegree scholarships, we are offering grants to organizations that train job-seekers with the digital tools they need. 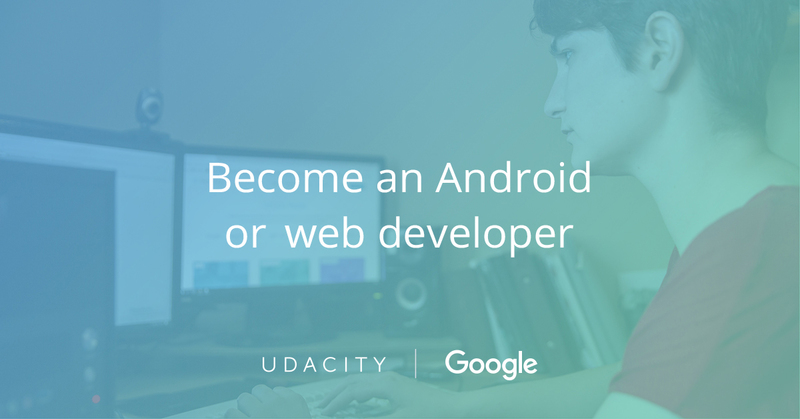 The Google-Udacity curriculum is targeted to helping developers get the training they need to enter the workforce as Android or mobile web developers. Whether you’re an experienced programmer looking for a career-change or a novice looking for a start, the courses and the Nanodegree programs are built with your career-goals in mind and prepare you for Google’s Associate Android Developer and Mobile Web Specialist developer certifications.